The constant pursuit and research for something that is inside of us creates motivation and knowledge of our experiences. The knowledge of our fears, emotions and beliefs take us to be part of a little elite of persons that face the reality in another way. In this one there are few which romantically look for an inspiration in a muse, a venal muse that in a vast and black night and sinuous as a swan will warm our shoulders and make our deepest good and bad experiences come up, creating a vortex of emotions that get translated in music. 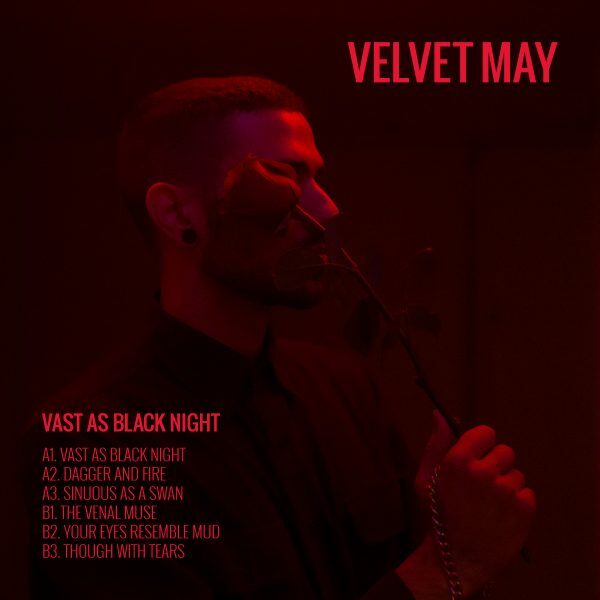 Velvet May makes his music go around aspects like love, liberation, pleasure, dependence and essence and he does it in the stark drama of his living mind. There a no simplifications, everything is translated without polishings and shades, but with respect to his real essence. The Venal Muse is always present and gives birth to big pleasures and life representations, but at the same time, with eyes full of mud, to mind perversions and reality collapses, generating a contrast which leads the artist to another state of his mind. The music talks, it doesn’t lie and able to solve many cold and unsolved enigmas of the life, like a flower among many complexes, give reasons to the dramatic mind to live and generate something that is far away from the reality, spreading pleasures for all concerned.